Restaurants across the United States have been slowly making progress toward eliminating trans fats from their menus. Cities such as New York, Philadelphia, and Boston have already placed a ban on the use of these fats in restaurants, while California recently became the first to introduce a statewide ban. It’s expected that such bans will continue across the country as consumers begin to recognize the importance of eliminating dangerous trans fats from their diets and demand a change in what restaurants are serving up. 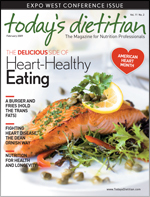 “When California’s Gov Schwarzenegger signed the bill banning trans fats as of January 1, 2010, I think restaurants got the message loud and clear that this change will most likely spread nationwide quickly,” suggests Joanne “Dr. Jo” Lichten, PhD, RD, creator of Dr. Jo’s Eat Out & Lose Weight Plan. Trans fats are formed when liquid oils are converted into solid fat through hydrogenation. Consuming trans fats can lead to heart disease by raising LDL cholesterol and simultaneously lowering HDL cholesterol. A study published in The New England Journal of Medicine in 2006 estimated that approximately 228,000 coronary heart disease occurrences could be avoided by reducing trans fat consumption or eliminating these fats from the American diet. Unfortunately, many popular foods contain them, and many Americans consume these foods in excess. The FDA estimates that the average American consumes approximately 4.7 pounds of trans fats every year. Fortunately, many restaurants and chains across the country are making changes—even if they aren’t located in a city with a ban. The Cheesecake Factory was one of the leaders pioneering these changes in the industry. “Nearly two years ago, our management team and kitchen staff began partnering with our foodservice manufacturers to work toward the elimination of trans fats from our menu,” says Mark Mears, senior vice president and chief of marketing for the company. Even hotels are recognizing the importance of switching to a healthier alternative. Last year, Carlson Hotels Worldwide announced plans to eliminate shortening containing trans fats at the majority of its hotels. The Radisson Fort McDowell Resort & Casino in Scottsdale, Ariz., was one of the hotels that participated in the pilot program. The resort’s restaurant, the Ahnala Mesquite Room, successfully eliminated trans fats from its menu in October 2006 and found that guests actually preferred the flavor of its healthier alternatives and appreciated the restaurant’s effort to emphasize good health. Many restaurants have reported no change in taste after switching to a healthier alternative. Of course, each restaurant has its own alternative formula. McDonald’s, for instance, uses a canola oil cooking blend for its fried items, such as French fries, chicken, and its Filet-O-Fish sandwiches. The Cheesecake Factory reports using a blend of olive and canola oils to replace the oils previously used for cooking. “In making the switch to trans fat-free cooking oils, our guests have reported no discernable taste differences to our unique menu items,” says Mears, who adds that the switch has not affected menu pricing. The public has responded positively to increased healthy options—especially those with no trans fat. “Our customers rave about the freshness and selection of ingredients,” says Thomas DuBois, CEO and founder of Tomato Tamoto, a new made-to-order salad bar restaurant that recently opened in Plano, Tex. Consumer habits are certainly an issue. Even if people live in an area where a ban is in place, they still may be consuming trans fats at home. That’s why it’s important to help clients be more proactive about their nutrition, not only when dining out but also when purchasing groceries. However, as a result of consumers’ interest in trans fat-free products, some manufacturers—just like many restaurants—have decided to eliminate it, says Lichten. “But remember, trans fat free still does not mean fewer calories. Most trans fat-free products have exactly the same amount of fat and calories as the original,” she notes. Even without reading the ingredient list, patients can have a good idea of which foods might contain trans fat. These include premade desserts, butter spreads, convenience foods, and fried items, says Dean. These are the types of foods that clients should avoid in general. The bottom line? Getting clients to eat a healthy, well-balanced diet may not happen overnight, but helping them eliminate or even simply cut down on trans fat is definitely a step in the right direction.